We are thrilled to announce that Opening Night for the 25th Anniversary Hamptons International Film Festival will feature the World Premiere of Alison Chernick’s compelling documentary ITZHAK. Seven other films will also have their World Premieres at HIFF25! ITZHAK chronicles the extraordinary life of Israeli violin virtuoso and conductor Itzhak Perlman. Perlman, an East End resident, will be in attendance on Thursday, October 5, at Guild Hall in East Hampton. Jennifer Garner, Deon Cole, Michael Finley, Spencer Haywood, Oscar Robertson and P.J. Tucker will attend the festival. “We are thrilled to announce Alison Chernick’s ITZHAK as our opening night feature, and to have the talented Itzhak Perlman himself join us for our anniversary year. This diverse array of films announced today, many with local ties, are sure to be some of the most talked about films at this year’s Festival,” said Hamptons International Film Festival Artistic Director David Nugent. 25th Anniversary passes and packages will go on sale on Tuesday, September 5th. 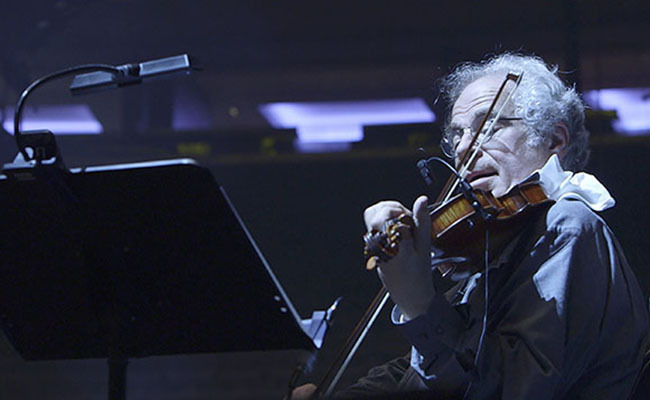 Alison Chernick’s documentary ITZHAK examines the life and music of Itzhak Perlman, widely considered to be the world’s greatest living violinist. Exploring the ways in which Perlman’s passion for music allowed him to find a platform for personal expression against tremendous circumstances, Chernick creates a portrait of man whose remarkable will to survive is never removed from his tremendous generosity and humor. Through it all, the discipline we see at work is starkly contrasted with the world we see at home, as a modern Jewish family continues to embrace their heritage against a world of changing expectations. A co-production with American Masters. 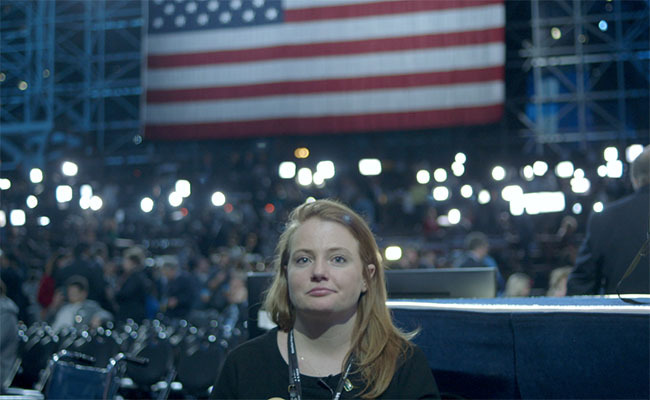 On the day of the 2016 presidential election, filmmaker Jeff Deutchman surveys the thoughts and feelings of ordinary Americans as they head to the ballot box. Told in brief vignettes from across the country, and focusing on voters from every side of the political spectrum—ranging from a Sikh man and his family in New York City to a coal miner in West Virginia—the film humanizes the electorate in an age of sweeping generalizations. In its panoramic form and disparate viewpoints, 11/8/16 provides a necessary counterpoint, finding moments of common humanity within a seemingly unbridgeable divide. In 1950, three years after Jackie Robinson broke the color barrier in major league baseball, Earl Lloyd stepped onto an NBA basketball court and changed the game forever. During Lloyd’s 22-year NBA career, he became its first African American player, its first African American scout, and its first African American full time head coach. Through intimate conversations with family, childhood friends, and the legendary players whose lives he touched (including Oscar Robertson, Dave Bing, and Kawhi Leonard), THE FIRST TO DO IT chronicles the experience of Lloyd and other early African American players against the backdrop of the Civil Rights Movement and explores the role of sports in the lasting legacy of desegregation today. 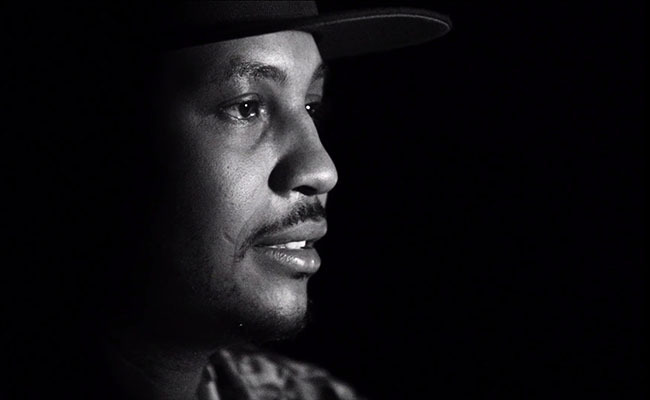 The film is produced in association with the National Basketball Players Association and with the support of the National Museum of African American History and Culture. KILLER BEES spotlights the famed Bridgehampton basketball team as they prepare to defend their state championship title. Following the young men on and off the court, filmmakers Benjamin and Orson Cummings explore the Bees’ historical importance within the local community. More than just a high school team, the Bees are a symbol of hope—particularly to those who are struggling to survive in one of the wealthiest districts in the country. Produced by NBA legend Shaquille O’Neill, KILLER BEES is a nuanced look at the powerful role sports play in overcoming racial, social, and economic adversity. LARGER THAN LIFE: THE KEVYN AUCOIN STORY explores the life of the iconic make-up artist, who transformed the profession into a prominent and influential art form. Director and fellow make-up artist Tiffany Bartok paints a beautiful and deeply personal portrait of a man who, as both an artist and LGBTQ advocate, dedicated his life to elevating the inner confidence and presence of others. Through intimate archival footage and interviews with his famous friends and clients, Bartok weaves through the journey of Aucoin’s life up until his tragic end—reminding everyone that he truly was larger than life. In a single, fully-stocked hotel room on the night of the 2016 general election, two Trump supporters celebrate the results that halted the ongoing “end of man,” in the latest from indie provocateur Onur Tukel. As the night rages on, an ensemble of characters venture in and out of the room. Some match the two’s enthusiasm while others voice their terror at the prospect of the incoming President, but most struggle to find a reason to care less about the results that caused the debauched celebration occurring around them. Led by Dylan Baker’s gleefully deranged lead performance, Tukel’s tongue-in-cheek exploration of a divided America digs deep into the night’s mass existential crisis, and leaves with some disquieting results. When teenage Medina (Maika Monroe) moves with her family to the picture-perfect paradise of Palos Verdes, California, they seem headed for a happy new chapter in their lives. But old troubles soon catch up to them, as the disintegration of Medina’s parents’ marriage leads her mother (Jennifer Garner) into an emotional freefall and pushes her brother towards addiction. Caught in the middle of it all, Medina must rely on her inner strength to become the stabilizing force in her family, while finding refuge in a new passion: surfing. Set amidst the sun-kissed beaches and crystal blue waters of the California coast, THE TRIBES OF PALOS VERDES is a stirring look at how life’s greatest challenges forge who we become. 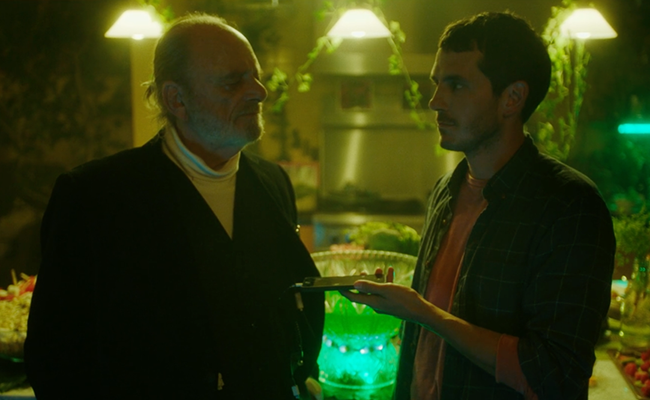 In an effort to briefly escape his humdrum life of isolation in New York City, Alex (Tate Ellington) impulsively accepts an invitation from an online acquaintance (Dree Hemingway) to house-sit at her picturesque “Enchanted Cottage” on Long Island. Despite his best attempts for a quiet weekend of relaxation, Alex suddenly finds himself lost on a surreal, all-night musical odyssey of misadventures. Filmed in and around the Hamptons area, and featuring a cast of wonderfully kooky local characters, Josh Klausner’s WANDERLAND is a madcap East End experience. The 25th annual Hamptons International Film Festival will take place over Columbus Day Weekend, October 5–9, 2017. The Hamptons International Film Festival greatly appreciates the support from their corporate sponsors and media partners, including presenting sponsor Delta Air Lines and Altour International and official media partners WNBC New York, Variety, New York Magazine, Vulture, The Purist, WNET/WLIW and The East Hampton Star.